Chocolate-and-berry-flavored marshmallows are delectable—even addictive—and these surprisingly easy candies make a great gift or special treat. Recipe by Nancy Baggett for EatingWell. Line an 8-inch-square baking dish with wax paper, allowing it to overhang two opposing sides by about 1 inch. 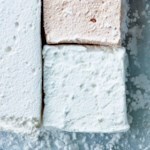 Thoroughly coat the paper with cooking spray; the marshmallow will stick to any uncoated areas. Sprinkle gelatin over juice concentrate in a small bowl; let stand, stirring once or twice, until the gelatin softens, about 6 minutes. Stir together sugar, corn syrup, water and salt in a 3- to 4-quart saucepan. Place over medium-high heat and cook, stirring, until the sugar dissolves. Then increase the heat to high and bring the mixture to a full boil, stirring. Stir in the gelatin mixture and vanilla and return to a boil, stirring. Boil for 1 minute more. Remove from the heat and continue stirring until the gelatin completely dissolves. Pour the mixture into a large bowl. Beat with an electric mixer (using a whisk attachment if possible), gradually raising the mixer speed from low to high, until the mixture is thickened, lightened in color and greatly increased in volume, 5 to 7 minutes. (It's better to overbeat than underbeat.) Beat in food color (if using). Scrape the marshmallow into the prepared dish, using a rubber spatula coated with cooking spray. 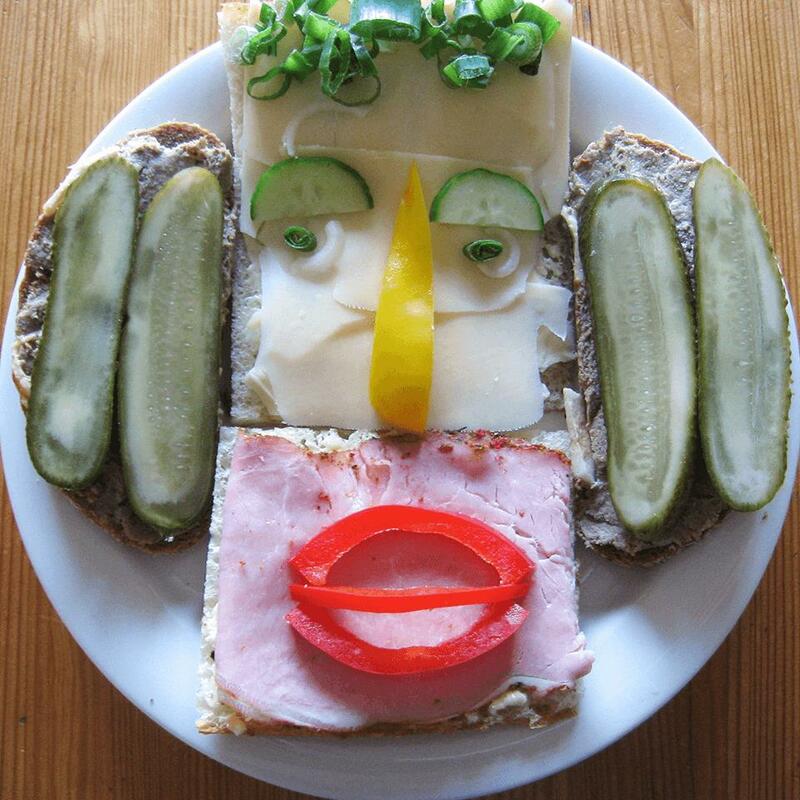 Spread evenly to the edges. 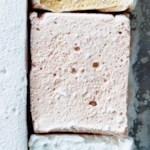 Thoroughly coat a second sheet of wax paper with cooking spray and pat it down on the marshmallow surface. Set aside until the mixture cools and firms up, about 4 hours. Transfer to the freezer for at least 4 hours and up to 24 hours before cutting. To cut the marshmallows, sift about a third of the confectioners' sugar onto a large clean cutting board. Peel off the top sheet of wax paper, then invert the chilled slab onto the sugar. Remove the pan and peel off the second sheet of wax paper. Sift about a third of the remaining sugar over the top. Using a large, sharp, lightly oiled knife, trim off the uneven edges all around. Mark, then evenly cut the slab lengthwise and crosswise into eighths to make 64 squares. Generously dust all the cut surfaces of the marshmallows with more sugar to keep them from sticking together. Clean off and re-oil the knife as needed. Cover and return the marshmallows to the freezer until chilled, about 45 minutes. To dip the marshmallows, line 2 baking sheets or trays with nonstick foil (or coat regular foil with cooking spray). 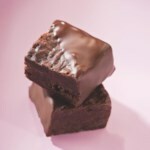 Place chocolate in a medium microwave-safe bowl. (Alternatively, see Tip.) Microwave on High for 1 minute. Stir well, then continue microwaving on Medium, stirring every 30 seconds, until mostly melted. Stir until the remaining chocolate melts completely. If the chocolate seems a little thick for dipping the marshmallows, stir in oil 1 teaspoon at a time until smooth; microwave on Medium for 15 seconds, then stir again. Working with a batch of about 15 marshmallows (keep the remainder in the freezer), submerge them one at a time in the chocolate and use a large dinner fork to turn and coat completely. Lift the marshmallow out with the fork, tapping it against the side of the bowl several times and scraping it against the edge to remove as much excess chocolate as possible. Stir the bowl of chocolate occasionally to keep it blended. If it cools and stiffens at any point, microwave on Medium for 10 seconds, stir well and continue dipping. Place dipped marshmallows on the prepared pan, pushing them off the fork with the tines of another fork if needed. If a pool of chocolate forms around the base of the marshmallows, tap off more excess chocolate as subsequent candies are dipped. 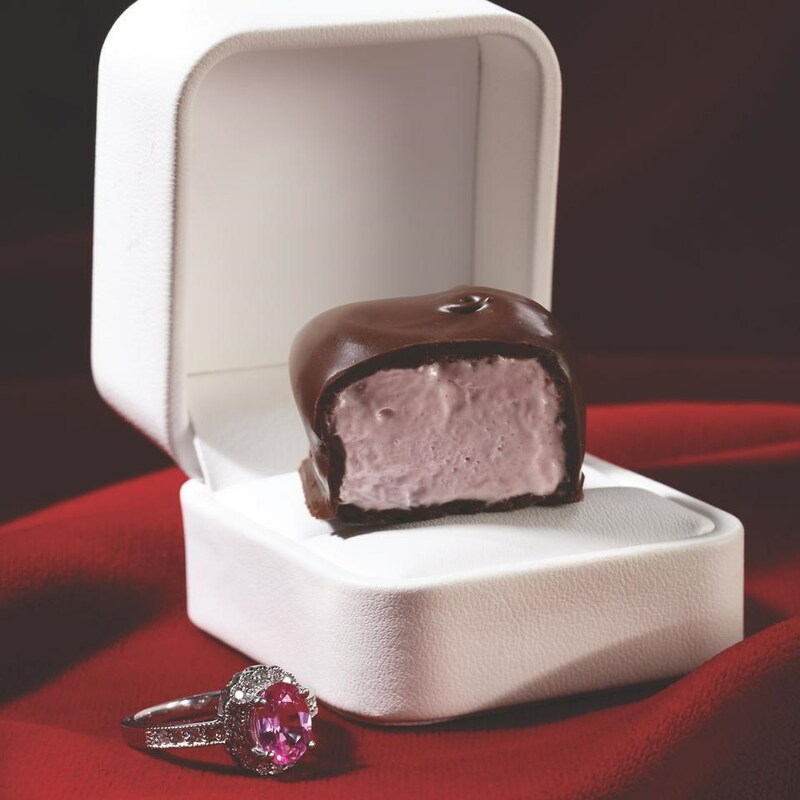 Refrigerate the dipped marshmallows until the chocolate is thoroughly chilled and firm, at least 1 hour. Gently pry the marshmallows from the foil with a table knife (fingertips will mar the surface). 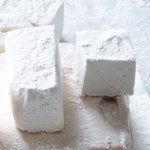 If desired, trim off the uneven edges around the bottom of the marshmallows with a paring knife. Keep refrigerated until ready to serve. 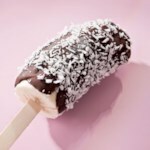 Serve chilled or let stand at room temperature for 5 minutes before serving. Make Ahead Tip: Store airtight, without touching (or in paper candy cups) in a single layer with wax paper underneath, in the refrigerator for up to 1 month. Note: Natural food dyes, such as India Tree Natural Decorating Colors, can deliver an attractive look using concentrated vegetable pigments. Find this brand at cheftools.com. Outstanding! 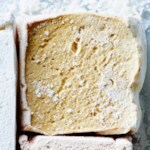 If you've never made marshmallows @ home, you must try this. Not only are they super delicious, they will impress anyone receiving as a gift, and make you feel accomplished as a cook. Made for Valentine's day for my hubby, I cut them in finger size, dipped some in just dark chocolate and others in chocolate as well as chopped pecans. I will make more for gifts for others......wonderful with great, easy to follow directions Pros: Addictive! Cons: Addictive!